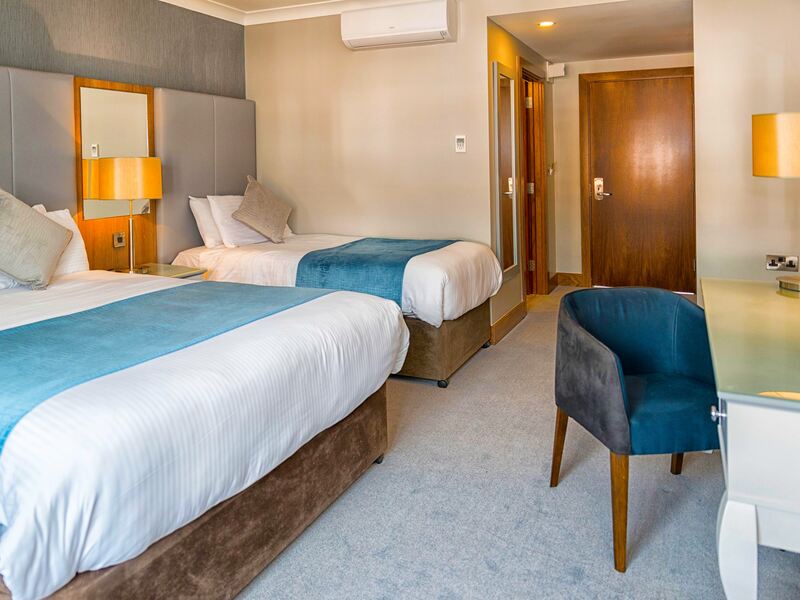 The 4 star Riverside Park Hotel & Leisure Club in Enniscorthy, Wexford, offers 100 beautifully appointed bedrooms, each of the rooms are designed and decorated to the highest of standards with comfort & relaxation in mind and set a standard that few other Wexford Hotels can match. 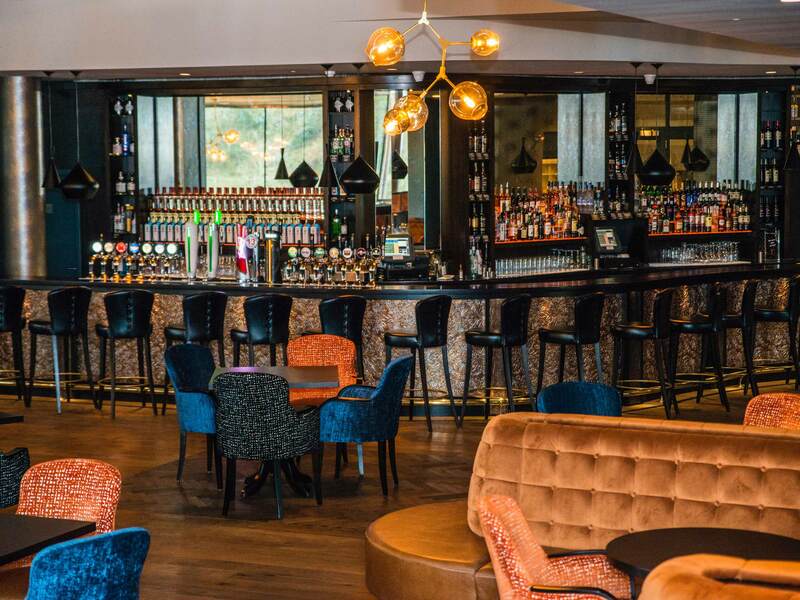 Guests are required to show photo identification and present a matching, current, valid credit card upon check-in.We request that all children vacate the bar by 10pm and must be kept under supervision of an adult in public areas of the hotel at all times. 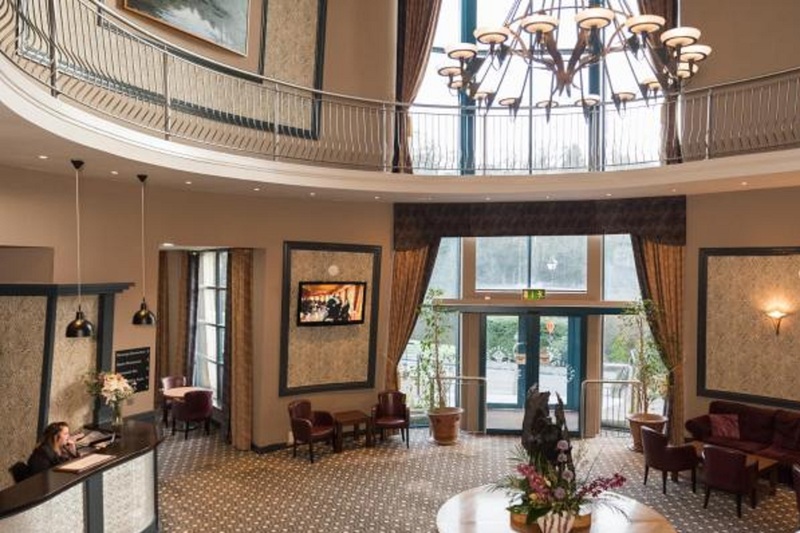 The Riverside Park Hotel & Leisure Club is picturesquely located on the banks of the River Slaney in the bustling market town of Enniscorthy. There are several activities available nearby the hotel such as fishing, water sports, quad biking, paintballing, equestrian activities to name a few. A comfortable stay, and a good breakfast. The hotel is in a great location and central to Wexford County. Check in efficient. Hotel bar and room quite cold. Great hotel. We only stayed the one night, but will be back again. Mary met us at reception and was very pleasant and helpful. At breakfast the owner of the hotel went around to every table to talk to people, ’nice touch’. Keep up the great standards. Lovely hotel in nice setting. Excellent food, generous portions! Lovely Hotel, Very friendly staff, rooms were really nice and the Meal in the Alamo was excellent! really enjoyed our stay. Clean and comfortable. staff and food excellent. the hotel was excellent, we got our room overlooking the river as requested, food was excellent, staff very friendly, will return for another visit, have told all my friends and family about it. We had a very nice stay here. Hotel very comfortable and staff very friendly. Sadly the internet was not working during our stay. Very nice Hotel in an excellent location. Food was excellent and staff very freindly. Good value for money. Hotel in excellent location. Staff very cooperative and friendly. Would use hotel again and have already recommended it to friends. Stayed in this hotel recently and had a great time. Hotel was clean, food was great and rooms were very nice. I would recommend this hotel for a weekend break. Lovely hotel, afew minutes walk to the town, yet felt like was out in the countryside. Staff very nice, rooms lovely and comfortable, and a lovely touch to have a balcony overlooking the river. Food in the bar very nice, wasn't in the restaurants but they appeared to be very busy. Couldn't fault it. Lovely hotel couldnt find fault with anything. All staff very nice and friendly. I have stayed in this hotel on three occassions and hopefully will get the chance to stay there again. Lovely hotel, very friendly staff. I couldn't find any fault with this hotel, staff were so friendly and helpful. The food was second to none and I would definitely go back to the Riverside Park Hotel and Jim Maher (General Manager) should be proud. staff courteous and friendly, food amazing, the alamo restaurant is the place to go but the bar food is just as good, the gym was great, pool great for kids otherwise your stuck in one very small lane that two adults can't swim in but the use of jacussi, sauna and steam room make up for that. would go back again. Beautiful hotel, lovely setting on the river, rooms very comfortable and spacious and staff very efficient, will certainly be back there.